Over recent years, many people have taken the plunge and decide to keep chickens. Unfortunately, some people have done so without doing even basic research into the care and upkeep of their flock. Subsequently, some birds languish or die simply from lack of appropriate care or attention. This is certainly something you don’t want and something which can be easily avoided. 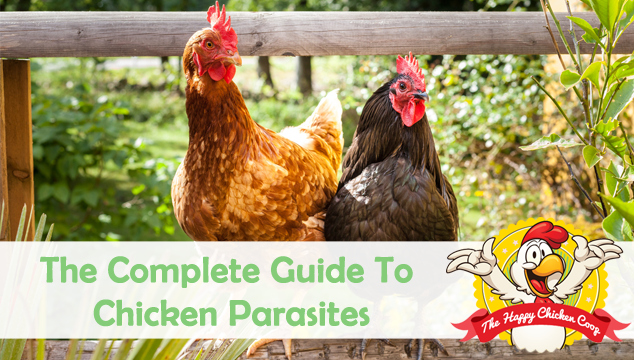 We have put together some of the most common ways in which chicks or chickens health and survival can be severely impacted and what you can do to avoid these things. This is the number one cause of death for many chicks. Setting up the heat lamp safely is very important, not only for the safety of your birds, but your property too. The number of coop or barn fires caused by heat lamps that have not been secured correctly is depressing. In springtime people get ready for the chicks- preparing the brooder, bedding etc. and of course, a heat lamp. Heat of some type is needed to keep the chicks warm through their first few weeks of life. I cannot stress enough to double and triple check the securing of the heat lamp. If the lamp should fall into the bedding, it will start a fire in less than two minutes as the heat from the lamp is that intense. I have recently used a heating plate for my chicks with great success and little fear of fire. I do, however, use a heat lamp on occasion. I use a metal chain to suspend the fixture, duct tape to secure the wiring and an extra securing with strong twine for securing all! 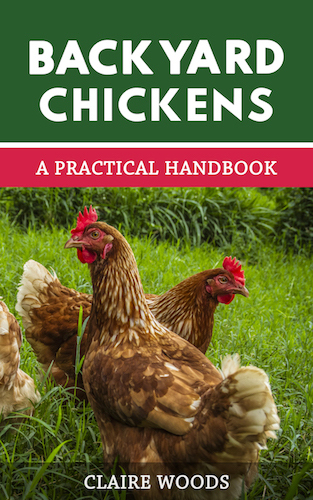 We have talked in our complete guide to raising chickens in winter about heating the coop during winter. 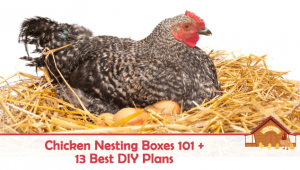 Adult chickens do not need extra heat over the winter. They are able to keep themselves warm enough, adding a lamp is not necessary. Dogs love to chase things- rabbits, cats, the mailman, and baby chicks. It is their nature to do this and expecting them to not chase chicks is a bit optimistic. Dogs can be trained to interact with chickens, but it takes time and patience on everyone’s behalf. You need to train them young! Many folks have dogs and cats happily co-existing with their flock. Training a puppy is best since they can be trained easily at this age. An older dog can learn but the process will be longer and many folks do not have the time or patience for correction training. 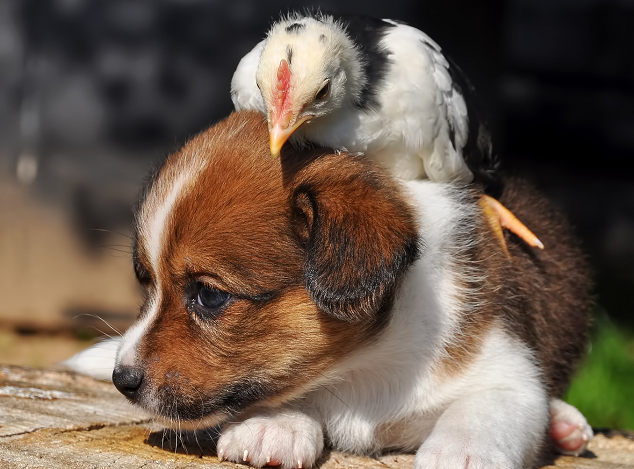 If you simply don’t have the time, ensure that your chickens are safe from your dog. Be aware that smaller terrier type dogs will dig under wire, so you need to protect against that possibility by burying your wire mesh. Chicken is a favorite dinner for many predators- foxes, raccoons, hawks and so forth, so you need to have top notch security for your birds. This is a good place to note that chicken wire keeps chickens in- but will not keep predators out! Many people have found this out the hard way thinking their birds are secure and safe only to find it wasn’t so. 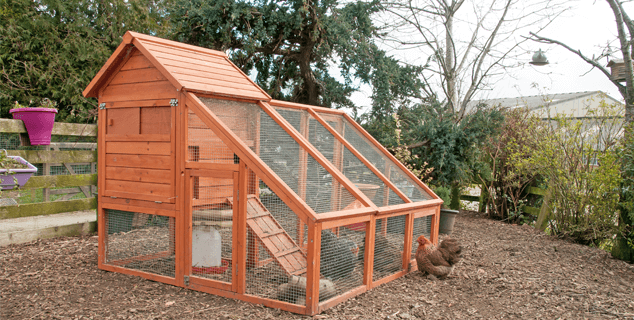 Your coop should be able to withstand assault from many different sources. Rats for instance will gnaw through the base or side of a run to access the feed, eggs or small chicks. Always check your coop perimeters weekly for signs of damage. A good way to ensure they don’t eat through the floor of the coop is to cover it with half inch hardware cloth. This prevents them from gaining access to your flock. We all know how cute raccoons are right? You won’t think so if one gets into your coop. They are incredibly smart and can figure out how to open simple locks. It has been said that if a three year old child can open the lock, so can a raccoon. Use locking mechanisms that require an opposable thumb to open- raccoons can’t open these. Foxes, coyotes, weasels will all try to dig into your run and coop. Be sure that your perimeters are safe and remember to bury your hardware mesh. Hawks are difficult to protect against if you pasture your chickens. Birds of prey are protected species so cannot be trapped or harmed. If you have an outside run, try to cover it over with wire mesh (chicken wire will do here). If that isn’t possible, string a thick twine or similar across the top of the run in a random fashion. The idea is to disrupt the flight path of the bird and make it extremely difficult to enter and leave the run from above. It is said that if you have poultry you will have vermin. Rats, mice, voles and chipmunks will all visit the henhouse looking for food. There are several ways to deter these visitors and one of them is the use of poison. Bait stations can be enclosed so that chickens cannot reach the poison itself, but the rodent will leave the station and go to die somewhere else. If the carcass is found by the chickens they will peck at it and possibly eat it- they can become very ill or simply die themselves. Bromethalin: This is a very potent neurotoxin that kills within twenty four hours. This type of poison has no antidote, so should not be used around livestock, pets or small children. Vitamin Based: Will kill within twenty four hours. This does have an antidote but should be used cautiously when animals, birds and small children are present. Anti-Coagulants: Probably the most widely used poison around. It is slow acting so takes time to be effective. Again, this needs to be used cautiously around livestock. If you suspect an animal has ingested any of these, call the veterinarian immediately. Always use poison with extreme caution around any livestock, pets and children. Animals can and do eat poisoned meat and become sick themselves. Chickens and Chemicals Don’t Mix! If you house your chickens in a barn or some other multi-purpose building, make sure any chemicals are safely stored away. Chickens are plain nosey and will investigate just about anything if they think its food! Bleach, gasoline, oils, antifreeze should all be contained within a cupboard or placed out of reach for your hens. 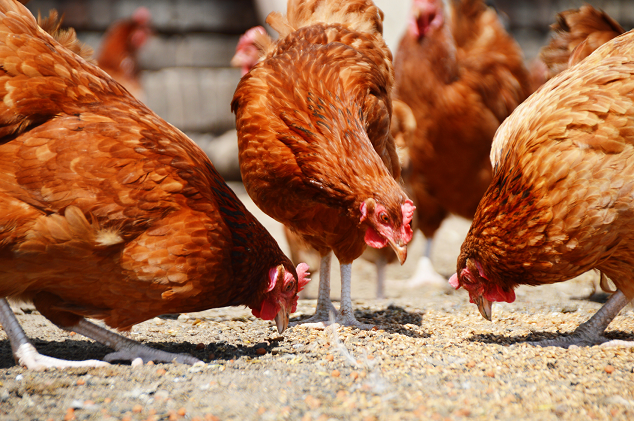 Livestock medicines are potentially deadly to hens if they can access an open container. They are incredibly curious creatures and will investigate almost anything, so be sure to close all containers tightly. I told you chickens were curious! Whilst they are pecking around for grit and tidbits they may pick up small pieces of glass, wire, nails or other metal odds. The item is likely to lodge in the gizzard where it can cause bleeding, infection or even death. If you are working on a project make sure you clean up all your stuff. Have a small container on hand for any detritus to go into so the hens can’t eat them! In the summer heat, each hen can drink around a pint of water a day. They absolutely must have access to clean, fresh water at all times. I use three separate one gallon drinkers for thirty hens and I fill these daily at least once. If you are unable to check on the status of your drinkers frequently, simply buy bigger drinkers. It’s quite easy to figure out how much water they will need- one hen = one pint. It is important to have more than one drinking station. Occasionally you will get a hen that will guard her drinker so the lowest in the pecking order may get deprived. Dehydration can quickly overcome a hen, eventually leading to death. If a hen has not had consistent access to water through the day, she will not lay eggs well for the next couple of weeks. We all love to spoil our girls with treats and special ‘tidbits’. Please make sure you aren’t giving them something that is bad for them! Here are some of the foods they should not be given. Absolute no-nos’- chocolate, caffeine, alcohol, raw dried beans, moldy produce, avocados’ and salty stuff. There is controversy over the humble potato– some people say absolutely no, others will feed cooked peelings or mashed potato to their flock. The potato and tomato are both members of the nightshade family so if you’re cautious it’s wise to stay away from them. If you feed apples to your girls, do try to remove the seeds as they contain trace amounts of cyanide. Having said that, chickens have been trawling through orchards for years and few have died from eating apple seeds. 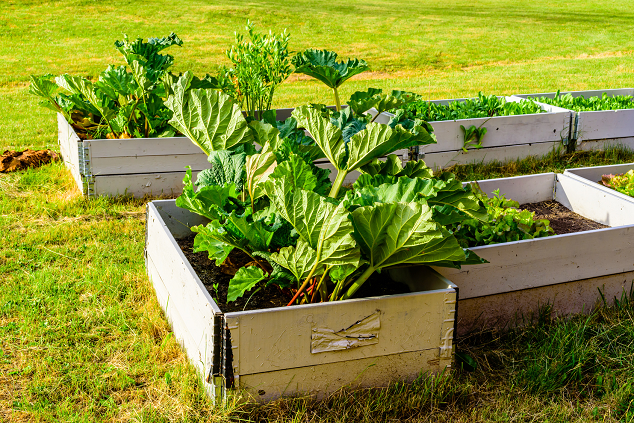 Rhubarb leaves are also toxic to chickens. I have two hens that ate all of my rhubarb leaves last year! They are still alive, but I’m not sure what the long term effects may be. The rhubarb is better protected this year! If you are reading this, you are unlikely to be neglecting your birds! There are people who expect their hens to be completely self- sufficient and do not buy any feed believing that the chicken can find enough to live on in the yard. Certainly in earlier times this was the norm for chickens. They would scratch around on the farm and gather enough substance to stay alive. It should also be noted that in the ‘old time’ hens laid considerably fewer eggs because their diet was so bad. Chickens can also be ‘hoarded’ just like cats and dogs. In these instances usually animal rescue services get involved. In fact, many bird rescue places will try to rehome hens with responsible owners. We all love to let out girls out to patrol the yard and dispatch unwelcome guests such as caterpillars and bugs. Are your garden plants safe for them to nibble at? I think most people know that foxglove gives us digitalis, a potent medicine that lowers the heart rate. It is most definitely not for chicken consumption! Some of the other toxic plants on the list are: holly, lobelia angels’ trumpet, jimsonweed, pokeberry, sweet pea, honeysuckle, bleeding hearts, myrtle and elderberry. This is by no means a comprehensive list these are just a few of the many toxic plants out there. Interestingly, many of those plants mentioned are also poisonous to humans too! Chickens are pretty smart (mostly) and avoid things they should not eat. As we all know chickens aren’t much bothered by HMOs’. They do however, need regular health checks. They can suffer from a variety of pests and parasites, so it is up to the responsible keeper to do regular checks on each bird. Parasites such as mites can make a bird become so anemic that the bird will die. A worm infestation can cause birds to drop weight, become lethargic and non-productive- gapeworm can even cause a bird to suffocate! Every day when you see your girls, you should be making mental notes- Emily seems depressed today, Betty is preening excessively etc. 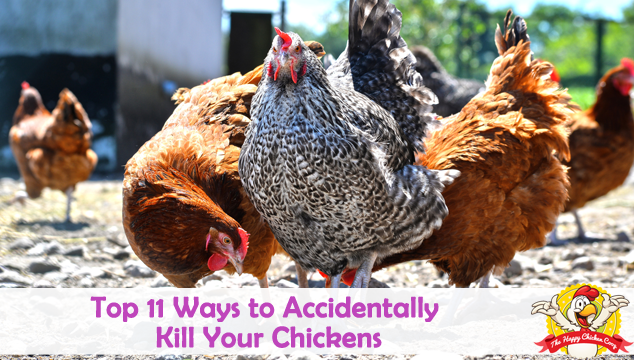 Each of these mental notes will guide you when you check your hen over. Sometimes there isn’t anything obvious wrong, but you get the feeling somethings ‘up’. This is being in tune with your flock and catching problems before they get out of hand. To ignore subtle warning signs is not a good policy and can be detrimental to the wellbeing of your entire flock. Even if you are a diligent and caring flock keeper, accidents can and do happen. You cannot be perfect all of the time. Many of the things mentioned here you are likely already doing because you love your ladies! We hope that this article has opened your eyes to a few potential hazards to your flock and made you think about your own situation and how it can perhaps be improved or changed. My chickens are well looked after – it’s like chook heaven at our place. They free range during the day in our large backyard which has native trees, fruit trees and ferns and lots of grass (lawn). I give my chickens organic multi grain, layers pallets and porridge on some mornings. I clean their coop out daily and ensure there is lots of straw and it is warm and dry and lots of fresh water. The chickens are healthy and looking very happy, but I haven’t had an egg for 7 months!!! They stopped laying early in summer (Dec/Jan). It is now winter so I expect no eggs until spring!. They are now 18 months old. Is this normal or are my chickens leading the good life and bugger the eggs!! They certainly can be stubborn at times can’t they! 7 months is certainly far too long- I don’t think its diet/water related because they sound incredibly well kept. I hate to ask this question but you’d be surprised the number of times people find a secret nest where their hens are going to lay- are you certain they aren’t laying whilst they are out roaming? Hi Claire, yes I’ve looked around in all the likely places – no secret stash of eggs found!!. They spend their energy running around the yard playing games most of the day and occasionally come up to the house (when I open the gate to let them roam further) to check on what we are doing. Back family room has glass windows ceiling to floor and they stand on the door mate looking in wanting to know what we are up to.When they were laying they were very broody, I always had one of the three in broody mode. I think they had a roster going…could it be that they are too well feed! I’m completely at a loss with this one- but it seems very strange that the entire flock is effected. Have you tried moving them onto another brand of layers pellets with a high protein count? I would try a different brand and ideally one with at least 18% protein content. I’ve got my fingers crossed for you too Pat. Could they be eating their eggs? Hi Claire, I am at a total loss this morning as one of my girls was dead and another dying and crossed in my arms, when we went to care for them. The other seven have stood around, no clucking, not pecking and refused to go to the outside part of their area. The girls have been very healthy and happy and so this morning we were shocked to say the very least. Through investigation I realized that part of their outdoor pen had been buggered up (not broken in to) but certainly not as it was yesterday. We know there is a raccoon around but the pen was not accessed. I have to wonder if he attempted to get into the girls but was unsuccessful. My question is, could my two girls have been stressed to death? I closed the other girls in the house after an hour of them, basically, refusing to go outside. The seem to be slightly more responsive with the door shut. I’m sorry to hear about your loss. I suspect this is the case here, but without seeing them it’s hard to know for certain. Thank you for your reply, Claire. We think it is something else at this point as we have lost a total of 5 now with only 4 remaining and only one of them looks like she might do ok, but that’s what I thought yesterday before I lost one of my girls last night. We have treated them with parasite and worm killer but they just keep dropping. They were fine one day and started dropping the next, it just doesn’t make sense to us. I recently had one of my backyard chickens fall ill and die. I am at a complete loss as I have no idea why. The chickens always have fresh water a daily cleaned coop , food and shade. The other chickens all seem well . The chicken that died was the bravest in the flock . I found her in the morning with an odd posture and not wanting to move. She had no visible wounds or any mites . The day befor she was acting normally. Do you have any idea what could have killed her? aloha, I live on Maui and have had hens for years. Recently one of our new 2mths old started loosing mobility in one leg dragging it and not able to getting around. Then by a week later the same began to happen with her other leg. Now she can not move at all and when she rolls on to her back she needs assistance to go back. It is so heartbreaking to see it is almost as she has some muscular atrophy. Could she have become sick as a result of swallowing an entire centipede? Keep in mind Hawaii Centipedes have a venomous bite that is 10x worse then a bee sting. Aloha and Mahalo, Lisa. I’m not familiar with Hawaii Centipedes. I would contact your local vet as they will be more familiar with the idiosyncrasies. Poison should be an absolute last resort (and preferably not even then!). You might be saving your chickens but that rodent that is slowly dying is now going to become a meal for something else – a house cat, dog, a bird of prey, bobcat, etc. Make adjustments on your end as you need but poison hurts everything in the environment- you just don’t always see it. I have to agree with you. Poisoned small prey is someone else’s next meal. Poison should be a last resort, if then. Another MUST is to keep anything edible cleaned up. A crumb of bread is enough to attract mice, and a steady offering of say, dry cat food kept on the porch for muffy to help herself whenever, is an engraved invitation to RATS! It goes without saying that spilled feed should not be anywhere near the outside of the run, even if it only ATTRACTS mice; next stop is your kitchen! Not mentioned under “Poison” is any non-organic anything. Roundup (for the love of God, dont buy anything Monsanto has touched! ); granular or pelleted snail baits; bug sprays (Essential Oils made into mosquito repellant are fine); insect killers (QUIT KILLING BUGS!!! Let them eat each other, like God intended! A report a few days ago said about a third of the world’s insects have disappeared– when a link in the food chain goes away, eventually so do we! )— anyway, these are only a few of poisons we’ve taken for granted for years, but they are verboten when raising backyard chickens. The store accidentally sold me 2 meat chickens. I hear awful stories about them dying with broken legs because they grow so fast. Can they live a normal life with my laying hens? Just in it for the fun and eggs not meat. 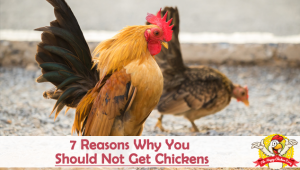 They can live a normal life, however it really depends on what you got from the store… Some breeds are selectively bred to grow so fast that it can be detrimental to the hen to keep them alive. We live in the Mount Rainier area and get many different types of predators, eagles, hawks, raccoons, cougar, weasels, fox, and bear. People out here let there dogs roam free, so adding to the pets list, watch out for neighbors pets. Be mindful of open water sources! Found one of ours in the horses water trough today. Chickens can’t swim AT ALL. She actually could have just stood up (the water level was pretty low) but alas, chickens aren’t known for their smarts. She’s alive but is in shock. She’s under a heat lamp now, hopefully recovering.